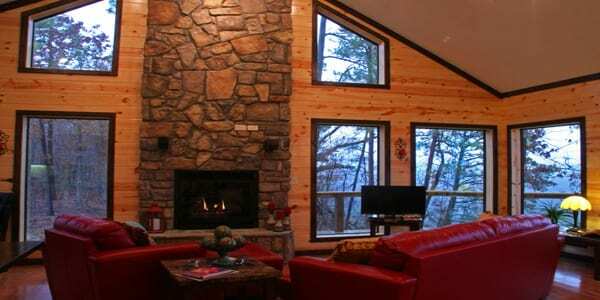 If you enjoy the breathtaking views and quiet seclusion of the mountains, you’ll love the Morning Sky! 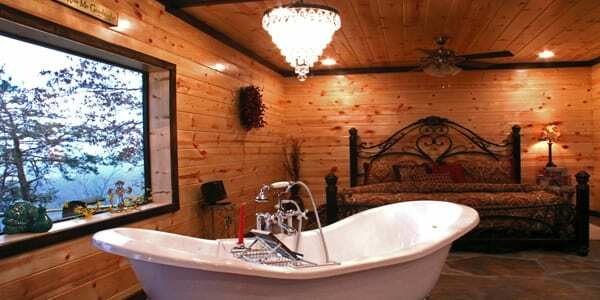 This romantic couples cabin is ready for you and your special someone to enjoy. 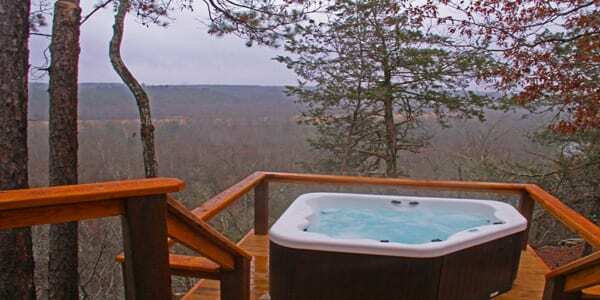 A relaxing and private getaway is yours at the Morning Sky. 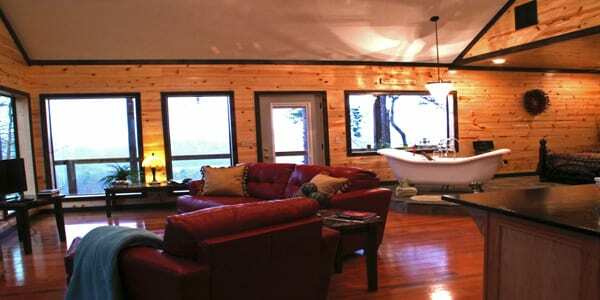 The serene setting of the cabin, perched above Eagle Creek provides a unique experience…one that you won’t forget. 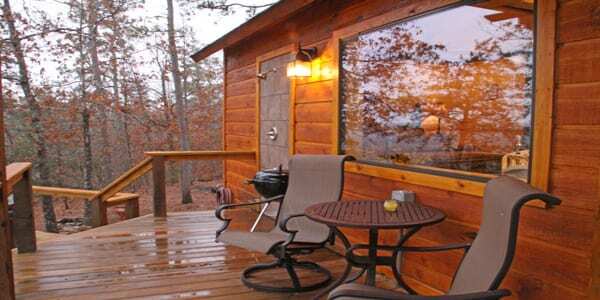 With a comfortable king sized bed, inviting soaking tub indoors and a hot tub on the deck, plus a warm gas log fireplace, the Morning Sky cabin has everything you desire for a romantic escape. 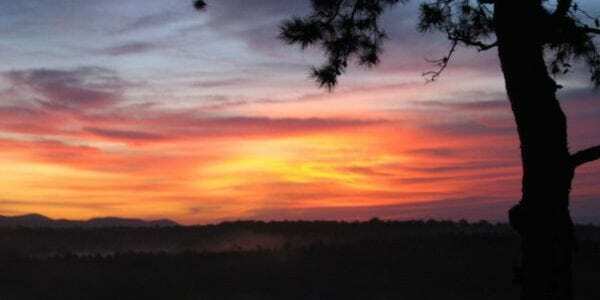 Get away as soon as you can…reserve the Morning Sky today. 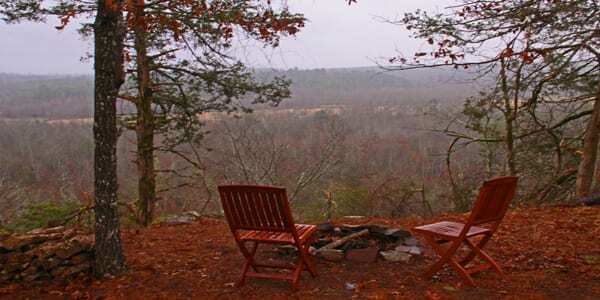 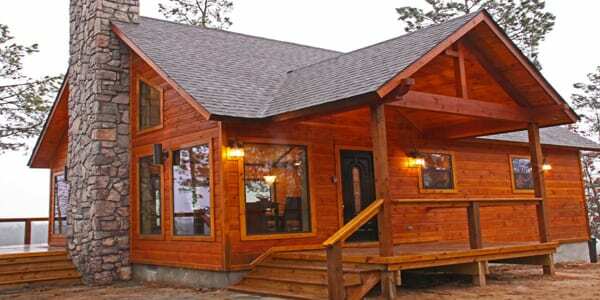 Located approximately 35 minutes north of the Beavers Bend area, the Morning Sky is a one bedroom, couples cabin. 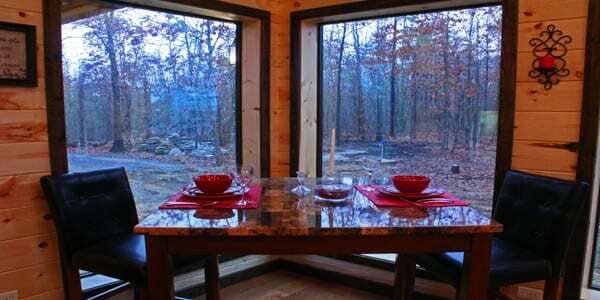 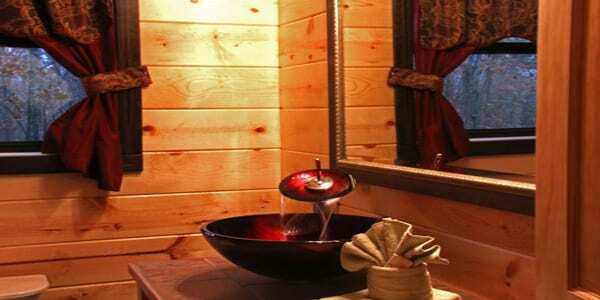 The cabin offers 850 sq. 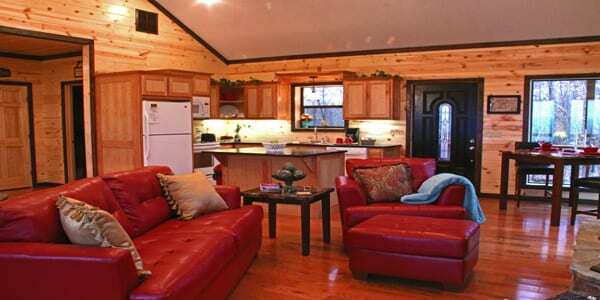 ft. of indoor space and 600 sq. 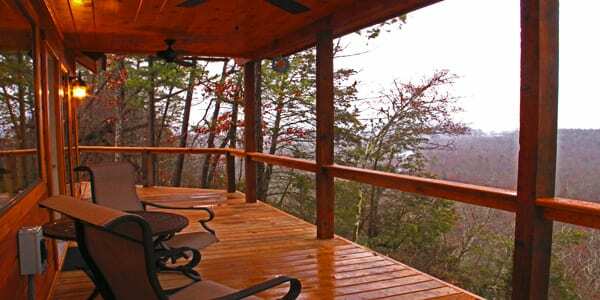 ft. of outdoor covered and open deck. 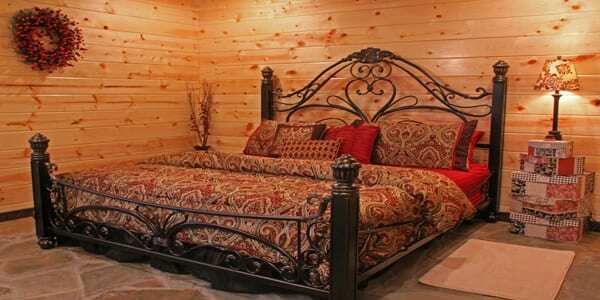 Sleeping arrangements are 1 king sized bed. 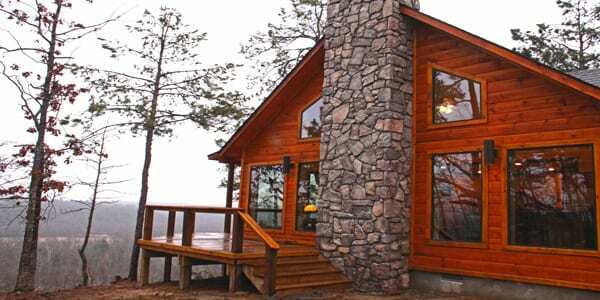 Location is private and secluded.